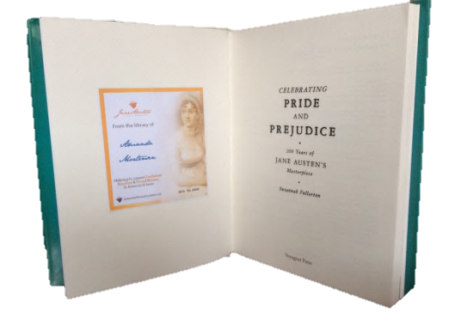 A Covent Garden Gilflurt's Guide to Life: Label Your Library with the Jane Austen Foundation! Label Your Library with the Jane Austen Foundation! 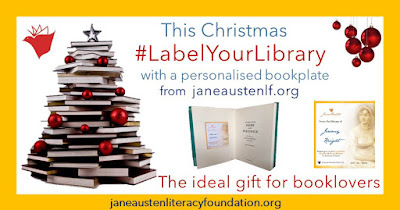 It's an absolute pleasure today to welcome Caroline Jane Knight, of the Jane Austen Literary Foundation, with exciting news of an opportunity to join the Foundation's Christmas campaign and #LabelYourLibrary! We are registered not for profit organisation run by volunteers with no wages or commissions paid to anyone. You can be confident that donations made to Jane Austen Literacy Foundation appeals are used to buy books and writing materials for communities in need. For example, we buy ‘School in a Box’ literacy kits to be used in temporary schools set up by UNICEF in Syria. We also buy books for disadvantaged remote indigenous children in Australia to support the fantastic literacy programs of the ALNF (Australian Literacy and Numeracy Foundation). Here’s a picture of our bookplate. Donors can choose what name goes on the bookplate, so they can now be given to other people as a gift and the bookplates are produced every few days, with each one personalised for thou to print out yourself or send on to a friend! We're calling the campaign #LabelYourLibrary and will feature on the foundation Facebook feed any great photos people post of their bookplate posted in a book. The bookplates will change periodically so donors can collect a full set, and they will be available throughout the year, not just at Christmas! 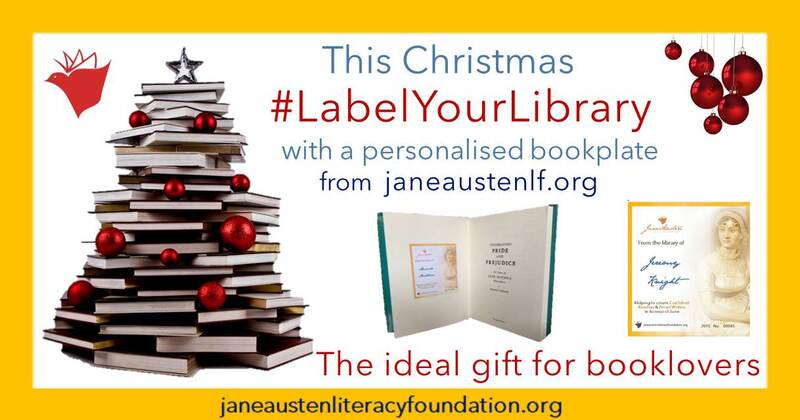 Please supper the campaign at https://janeaustenlf.org/support or donate now via https://janeaustenlf.org/support-us, and #LabelYourLibrary! Written content of this post copyright © Caroline Jane Knight, 2015.